Typically, a mixture of both metric and the English system of measurement is used in water gun physics. The reasons for such a mixture is simple. Water guns are used worldwide and people always seem to use the units most familiar with themselves. Range is nearly always measured in feet. Meters are much less common in practice. This choice may be due to the fact that a meter is approximately three times longer than a foot and you will receive a more precise measurement using feet. If meters are used, use decimals to record a more precise measurement. Output (or flow) is how much water exists the nozzle orifice per second. Output is measured in three systems, two of which are essentially the same. I prefer units of mL/s (mL per second) because it provides the most precision. Ounces per second is also commonly used. The traditional system (in units "X") used in water gun physics was used by Larami in the CPS water guns, based upon the output of a Super Soaker XP 70. It is generally accepted that the output of an XP 70 is one ounce per second, or about 30mL per second. The conversion between ounces per second and X is very simple. 5X output equals 5 ounces per second. The variable Q is used to describe water output. Shot time is measured only in seconds. Shot time is defined as the time the water gun is emitting output. The simple explanation would be how long the shot lasts. Capacity (or volume) of a certain part of the water gun is measured in many units, depending on how appropriate they are. Metric units are the ones I use most often, though some will use the English system of gallons and ounces. Being a smaller container, pressure chamber capacity is measured in mL. Water reservoir capacity is measured in L.
Pressure is how tightly packed the gas molecules powering the water gun are. Pressure is nearly exclusively measured in PSI (pounds per square inch), though some others prefer bar and atmospheres which are approximately equal. 1 atm (atmosphere) equals about 14.7 PSI. Pressure is defined by the variable P.
Speed is how fast the stream is moving. Speed should be proportional to the output. Due to the effects of drag, the stream speed should reduce as the stream gets farther from the water gun. Nozzle orifice diameter (commonly just nozzle diameter) is the diameter of the nozzle. The nozzle diameter determines many things about how the stream will react, namely the stream velocity, output, and distance. Nozzle diameter is measured in fractions of an inch and mm. This statistic is mainly used for homemade water guns, and thus you will use the drill bit size of your nozzle as it's nozzle orifice diameter. Range - distance the water was shot. Shot Time - duration of the shot. Output - volume of water shot out per unit time. Reservoir Volume - volume of reservoir. Chamber Volume - volume of water in the pressure chamber or bladder when full. Pumps to Full - maximum number of pumps allowed. 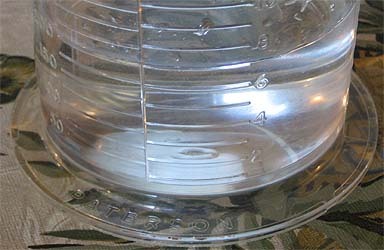 Pump Volume - volume of water moved in one stroke of the pump. Shots per Tank - number of full chambers that can be shot without refilling the reservoir. Dimensions - length, width, and height of the blaster. Go to a flat street with a tape measure and caulk and choose a location to shoot. Measure distance from shooting location to the end of the end puddle. Repeat steps 4 and 5 for an angled shot. Shoot gun and simultaneously start stopwatch. Once the shot ends, stop the watch. Stop recording a few shots after the end. Use a video editing program to accurately measure the duration. Divide the chamber volume by the shot time. Dump contents into a graduated cylinder. Shoot contents into a graduated cylinder. Pump the gun until the chamber is full. Divide chamber volume by number of pumps. Shoot until the chamber is empty. Repeat and record as necessary. Divide reservoir volume by chamber volume. Grab a ruler or tape measure. Measure the length, width, and height of the blaster. 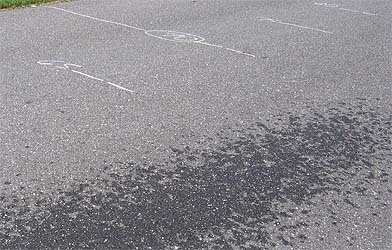 Soaker enthusiasts should avoid inaccuracy in measurements. Statistics should compare different soakers. End puddle range and average output matter more in battle than previously used "last drop" range and "one-second burst" output. The new methods are not only more accurate but also more realistic in water warfare. "Last drop" range is not the range at which an opponent is drenched; "one second-burst" output misrepresents the shot and is very difficult to measure. Every water gun should receive a fair chance to be measured accurately and realistically.